Casino Pier will be reshaped – literally and figuratively – for the 2017 summer season, the culmination of a years-long plan to draw tourists back to Seaside Heights after both accommodations and attractions were lost to Superstorm Sandy in 2012. The planning board was tasked Wednesday night with hearing the pier’s application for a reorganized amusement park that will be the result of the pier’s expansion one block northward along the boardwalk. Attorney Ed McGlynn, representing Casino Pier, described the reconfigured space, with help from Gilmore, who appeared before the board since the land on which the pier expansion is built is still technically owned by the borough. The land on which the new pier is sitting has been approved to be swapped by the borough for land owned by the pier company along the boardwalk, plus a historic carousel. 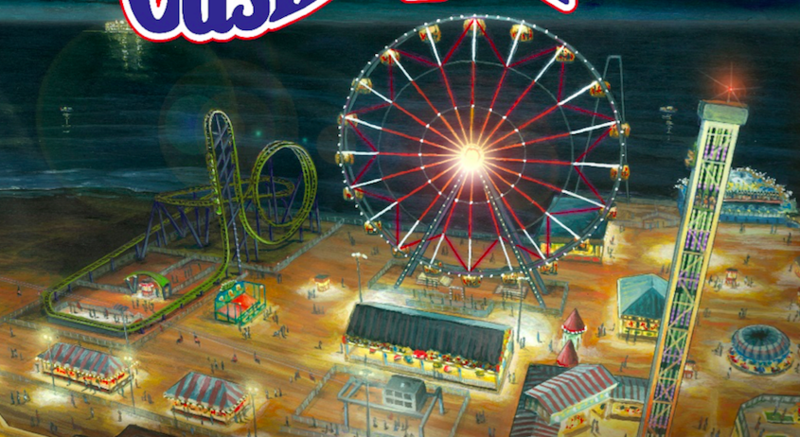 Frank Storino, the pier’s owner, said a new thrill-ride style roller coaster and Ferris wheel will be positioned on the new section of the pier, which is built over top the sand between Sherman and Sheridan avenues. The pier’s former roller coaster, the Jet Star, was built over the ocean and lost to Sandy, producing an internationally-known illustration of the storm’s damage. “With the new layout, we should have more space between the existing rides than there presently is now,” said Storino. So far, the bumper cars and Pirates Hideaway rides have been moved to the southernmost portion of the original pier in order to create room for the two structures to connect. Storino said a food concession and portable restrooms will be installed on the new pier section, as well as games such as Speed Pitch. Jim Elliott, construction manager for the pier, told board members that the new roller coaster – a Gerstlauer Euro-Fighter model – will take up a 200-by-75 foot section of the expansion. The coaster will be supported by dedicated pilings and timber structure. The Sky Ride, a cable car ride that runs up and down the boardwalk, beginning at the pier, will remain in its current position, Elliott said. The board unanimously approved the pier’s application.